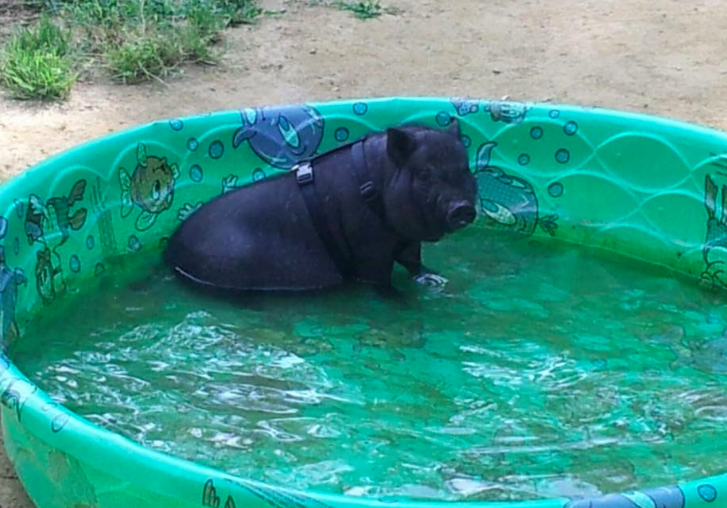 How big does a "Mini Pig" get? This is one of the best size references I have been able to find. Note the men standing, approximately 6ft tall, the dog which appears to be a spaniel breed and the pig who is smaller in size, but likely heavier than any of them. There are so many answers to this question, that it really isn't fair to answer with words. Instead, we asked others to post their piggy pictures and asked if we could gather them together and share them here. Pigs grow at different rates, pigs eat different things at different households, even if 2 pigs got fed the same food at the same home, they would likely grow at different rates and end up being different sizes. No one can tell you how big your pig will get. So many factors come into play when even trying to estimate what size they'll be, that it's a mute point. Do NOT buy into the lies. Anyone can show you a small pig and tell you that it's older than it really is, and they can do the same with the parent pigs, tell you they're much older than they really are. Ask for pictures, ask for proof. 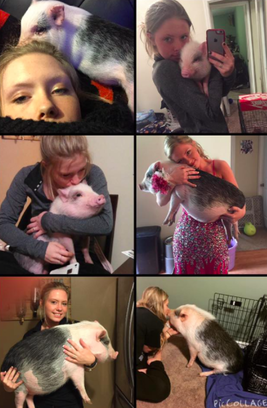 These are real people with real pigs who shared their pictures with us for this particular page...to help others so they wouldn't be fooled into thinking their pig would stay an unrealistic small size. 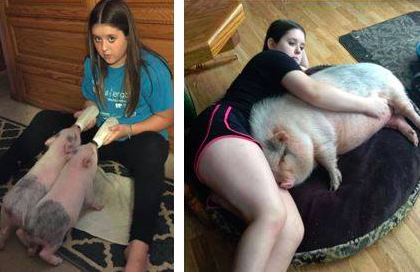 Adopt an older mature pig and you will KNOW the adult size. Be sure to click here and read about pig breeds so you will know what the different breeds of pigs are. The term “miniature pig” is a misnomer because that word is misapplied when describing the actual size of "mini pigs". You will quickly see the variety of sizes, shapes, weights, colors, lengths and disposition of "mini" pigs in the pictures that will follow and that there is absolutely no way to know how big your pig will get. Keep in mind that seeing the parents is a false sense of security as well, a lot of these breeders are breeding babies so their small size entices you to purchase from them. Ask to see pictures of their "smaller" offspring for the last couple of years, at least then you will know if they're being honest or not. 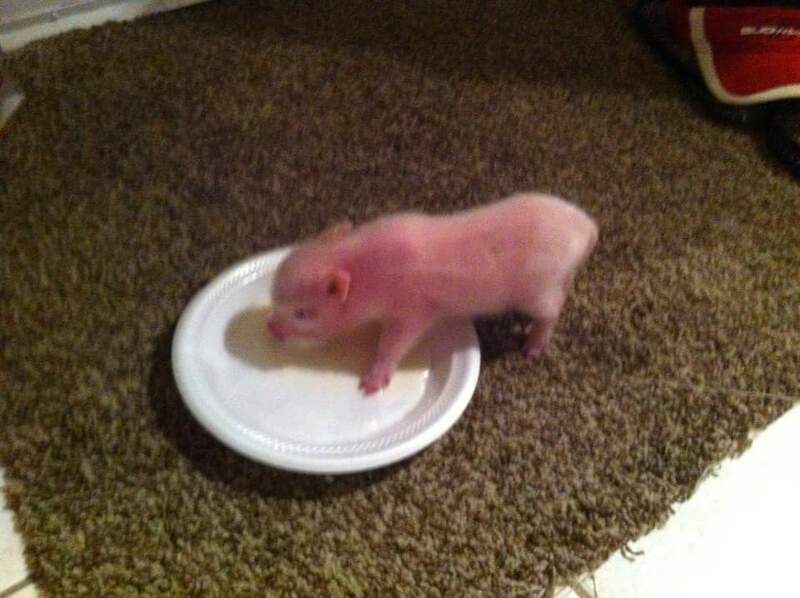 Buttercup the pig....while she wasn't promised to be a "teacup", she is a "mini" pig. 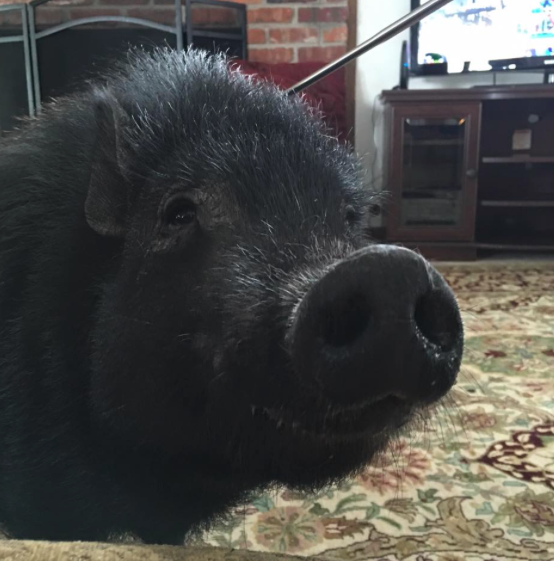 This is Melvin, Renee Lincoln's pig. Melvin growth has been collected since he was a baby with excellent references throughout his life. 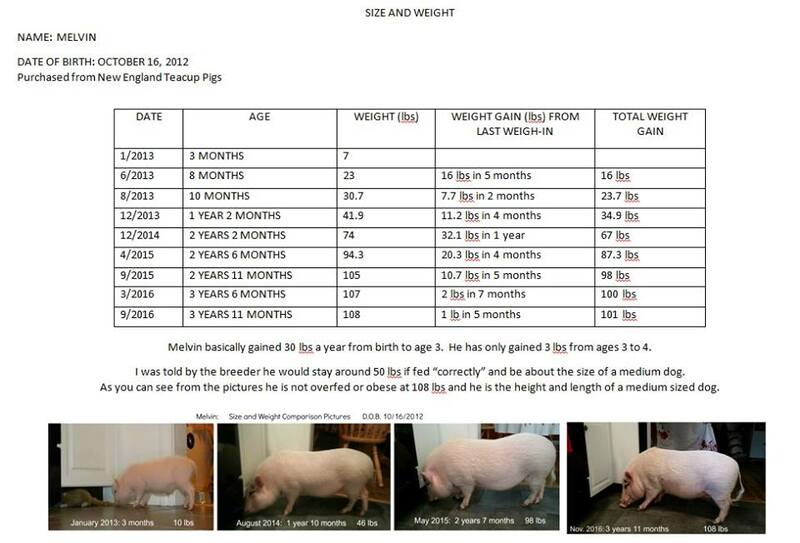 Melvin has a great body condition and isn't overfed or underfed. 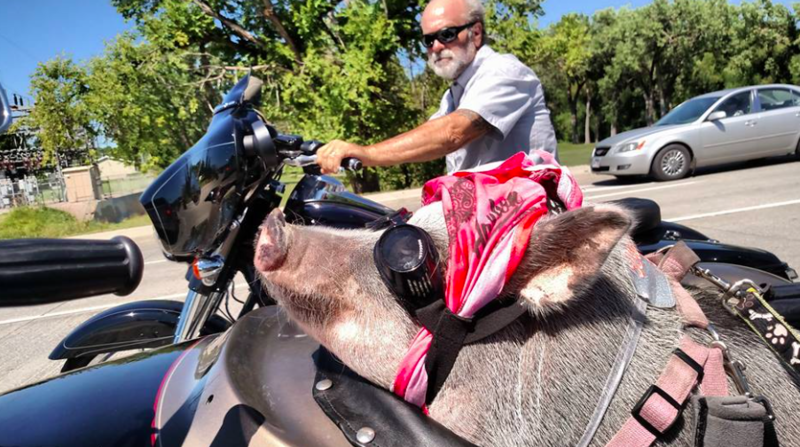 Katie Meyer's Tucker the pig. Paige Meyer says: This is Hamilton. He is only 9 months old and weighs in around 50 pounds. LB Claey states: Our "mini" pig Charlotte. When we got her we were told she wouldn't get over 25lbs. At a year and a half, she now weighs about 70lbs, but I wouldn't trade her for the world. Pickles and Piggles as more mature piggys. 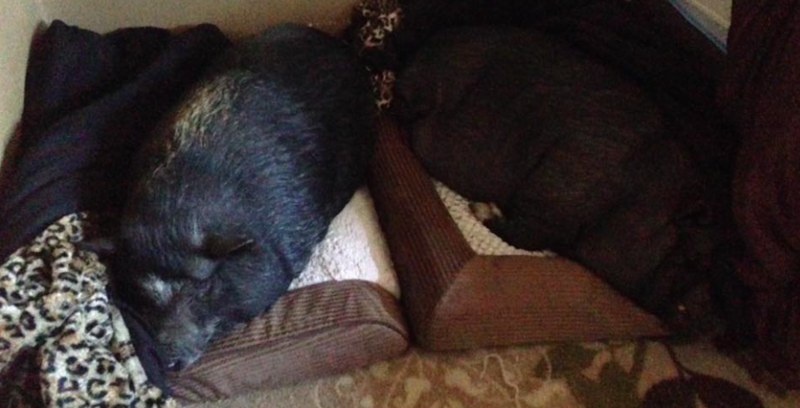 Pickles is 3 1/2 years old and Piggles is 5 1/2 years old. 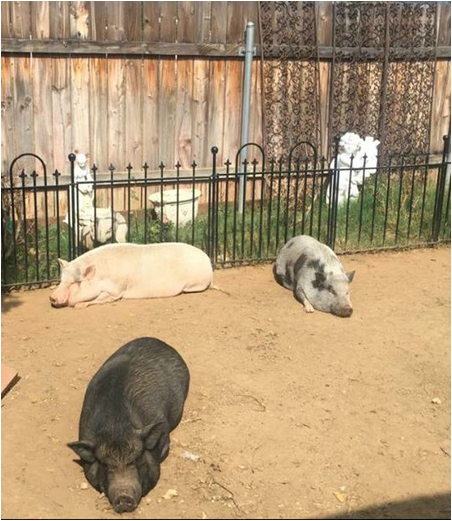 These are Jaime Howard's pet piggies. The updated picture was taken the last week of November 2015. 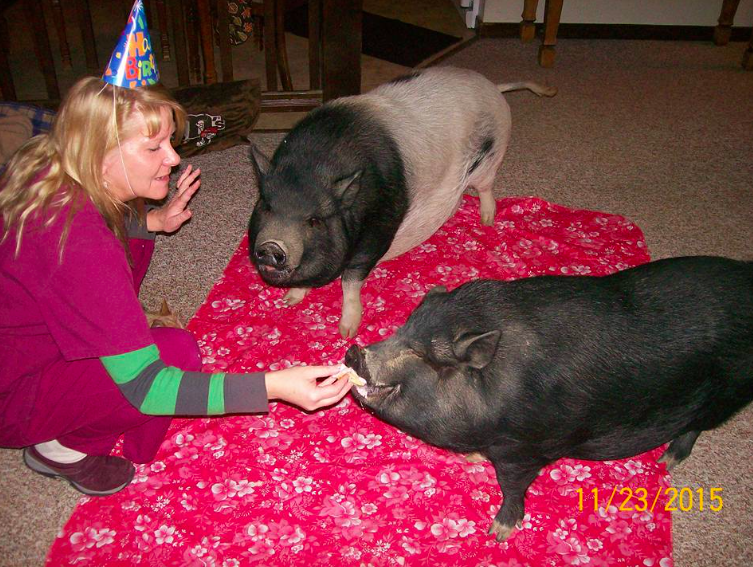 Bacon, 1 1/2 years old and Barbie 1 year old as of last week in November 2015. These are Jeanette Taylor's babies. Very much loved, but also growing a lot too. 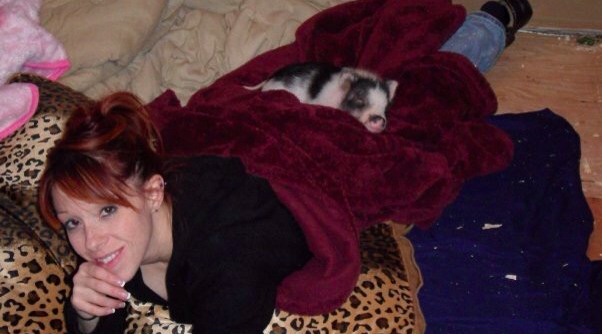 Baby Ray now as a 7 year old pig. 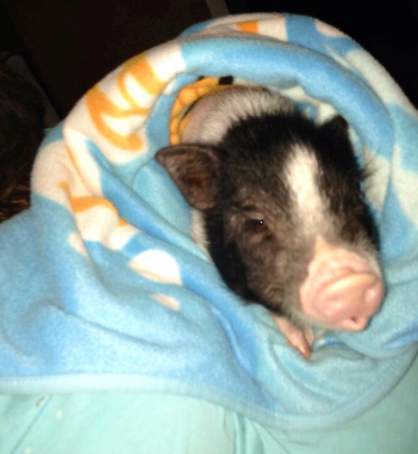 Baby Ray is Sonya Vann Reed's sweet piggy. 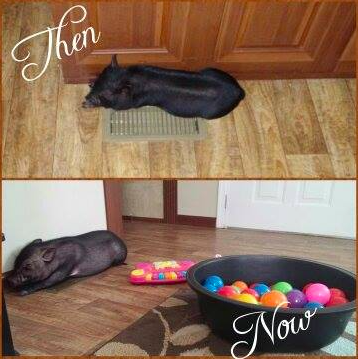 at 1-1 /2 years old, this 45 pound pig is still very small. This is Zoe Harper's piggy. 45 pounds at one and a half years old. Chicken Biscuit now (She will be 1 years old in Jan 2016) beside her sister. Chicken Biscuit and her sister are part of Kelly Loftis's family. 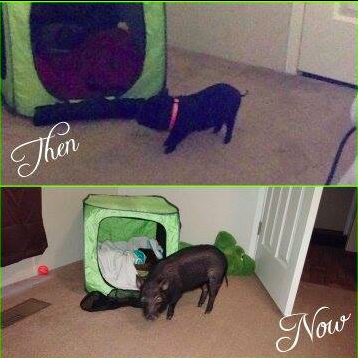 Lola is a part of Jennifer Bacon Schiefer's family, these pictures show Lola as a baby piglet and again at a year old. 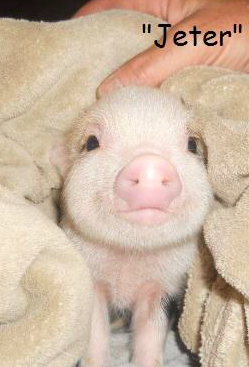 Keep in mind that mini pigs can grow up until 5 years old. 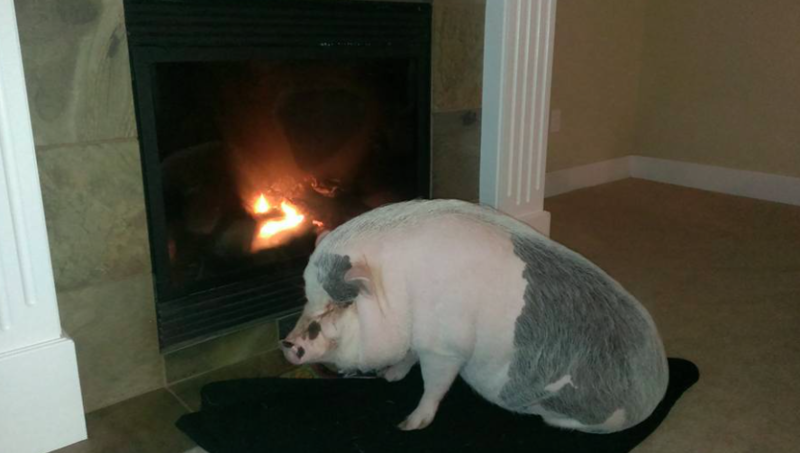 Daisy is Nikki Richardson's pig. Peanut and Snoopy. They're super little guys in the 1st picture and if you dont look closely, you can miss them altogether. 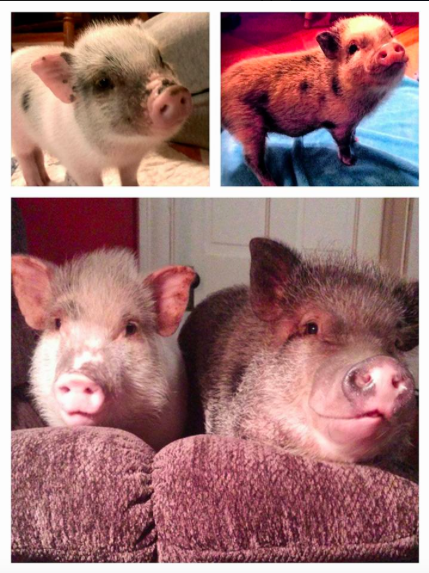 The second picture is these two pigs at 7 years and 2 months old. Both are Monalisa Lidberg's piggy children. Christina Marie shared her baby with us, a then and now collage. 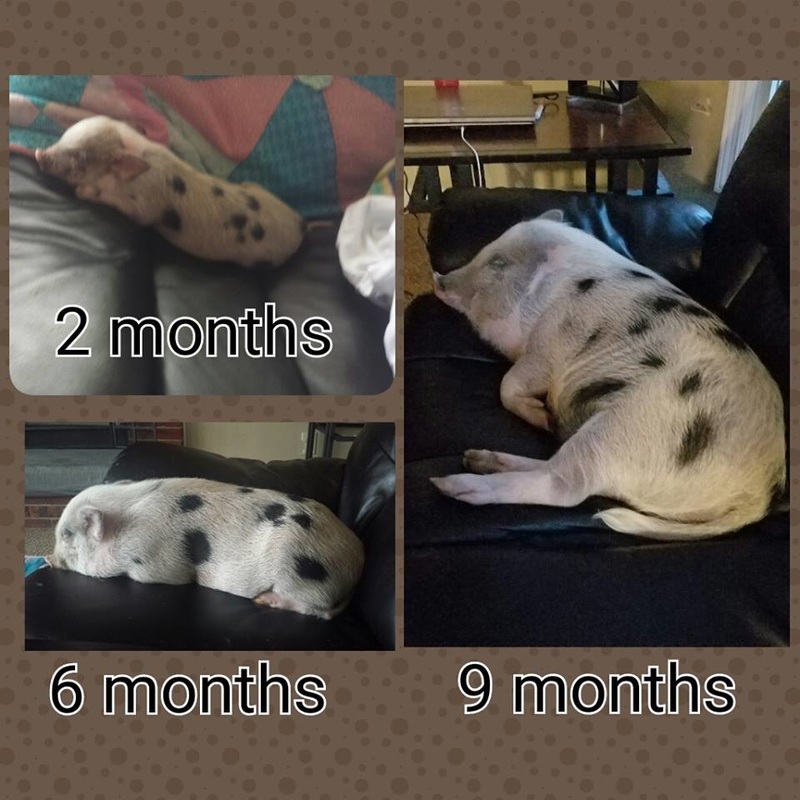 Same dog, same pig over time. Erin Journell Lundsford says: At 4 weeks, and 3 yrs. I've had him since they day he was weaned. 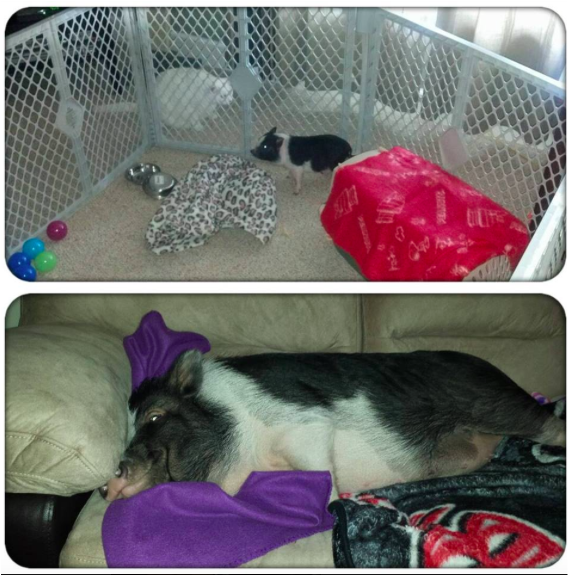 Christina Stephens piggy at 8 weeks and 1 year old. 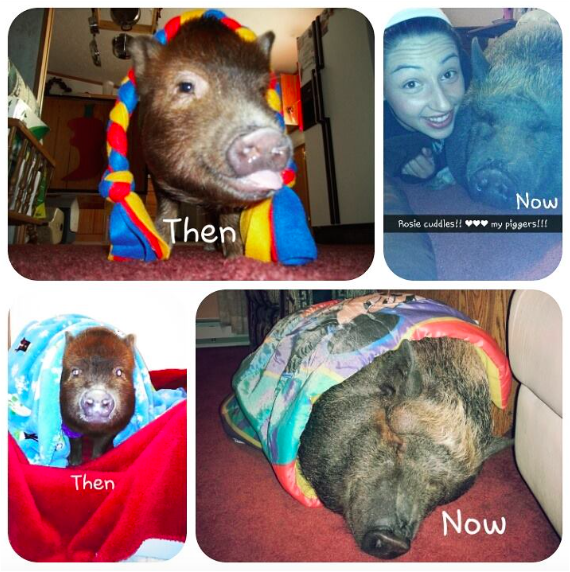 Rebecca Dominguez's pig throughout his time with her. Harley at 6 years old. Harley belongs to Tammy Patterson Knight. Spamela at 5 days old and now at one and a half years old. She is Teresa Alleva's piggy. 6 weeks old and riding with "the zookeepers"
This is Taryn Gaona's piggy, Moo at 5 weeks old and again at a year and a half. This is Jade George's Hammy at 6 weeks old. 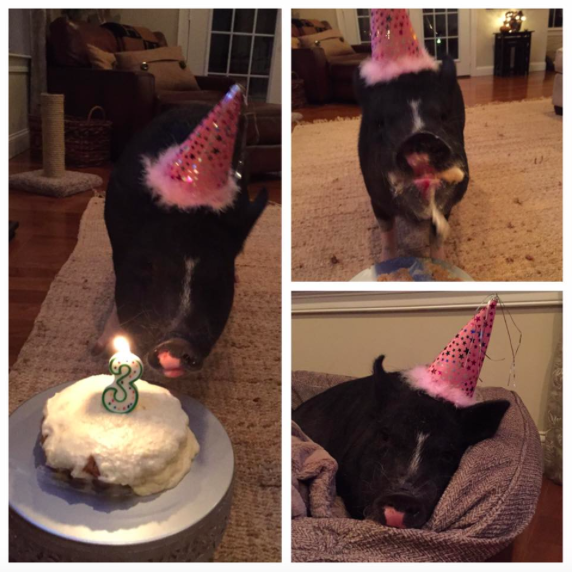 This is Rosie, Savannah Keen's piggy who just turned 5 years old. 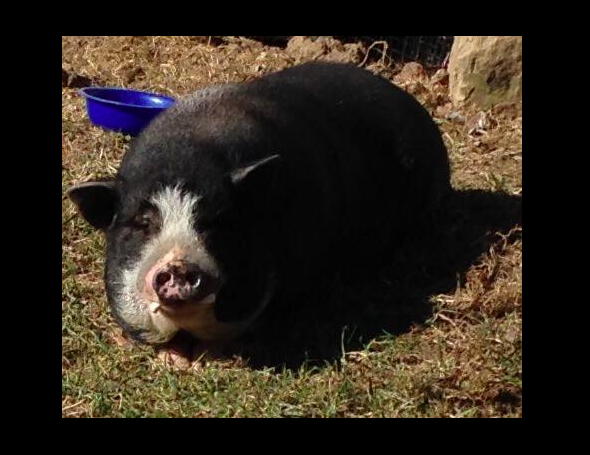 Jody Morris Norwood's pig Maddi who will be 2 in December. 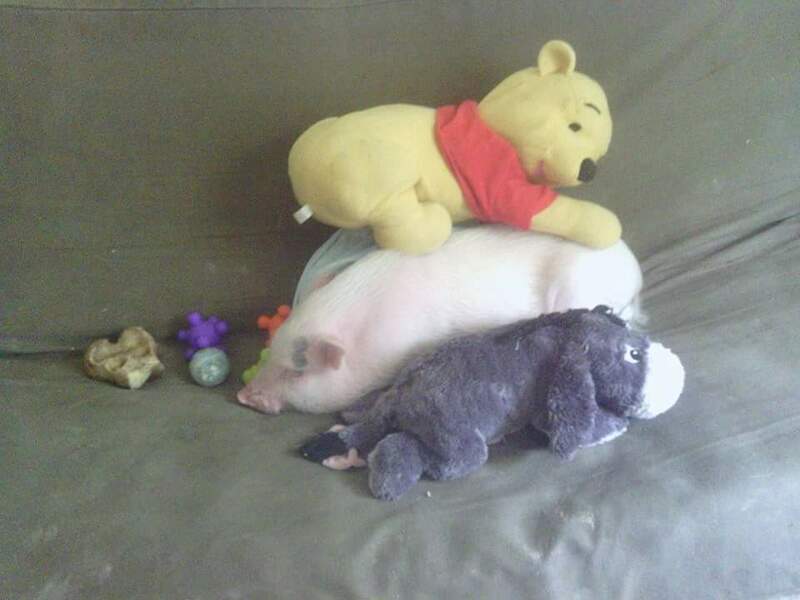 ​Cheerio was my very pig. I was told he was a micro mini and would be no more than the size of my pug. Well not even a year later you can see he has exceeded that lol. I would have never believed he would be this attached to us or us to him....but he is a huge part for our family. We love him so much. My daughter and cheerio share a special bond and have since he was first brought into our home. I didn't know about rescues at the time but I have 2 babies now and I can honestly say, I would take in one more without question. 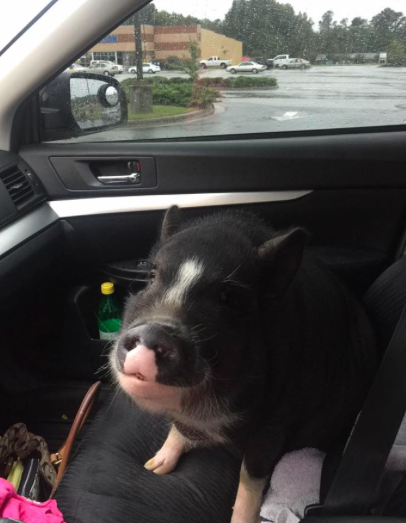 ​My piggy, Liam, was dropped off at our city pound when he was still a piglet. The story was that his owner showed up at her mother's house with the pig and her child and said "I can't do this anymore" and she left. 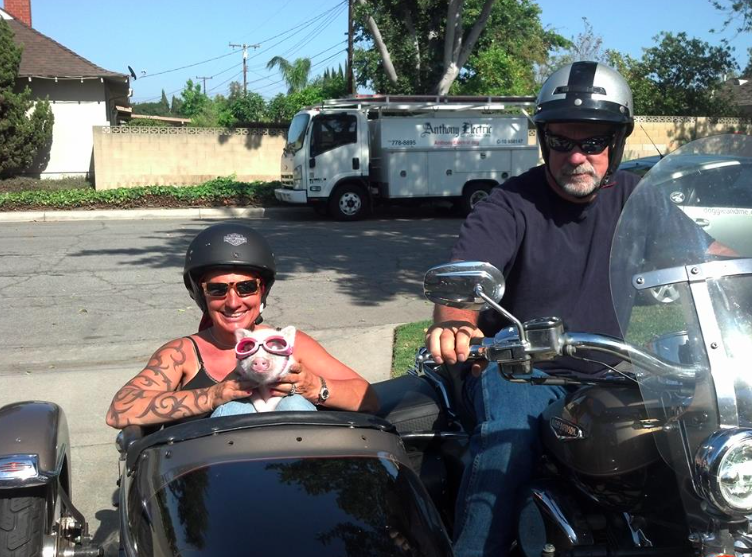 The grandma kept the child and took the pig to the pound. He was dropped off at the pound with a nap sack containing a few toys, a bowl, some lotion, a harness and some wet Alpo dog food (what he had been eating). I am a veterinarian, and our clinic does the spays and neuters for the city and county pound. Liam was brought in to be neutered. 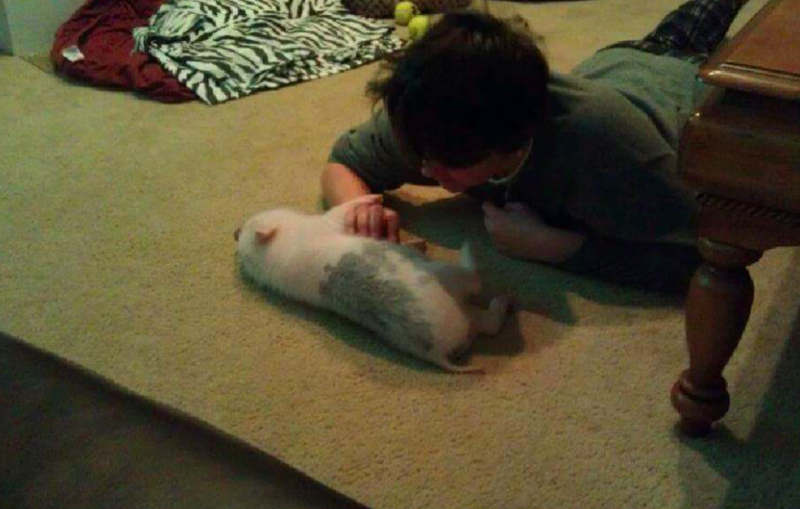 I have always wanted a pig and live on a five acre farm, so I adopted him. I live just outside city limits (pigs are not allowed in the city limits). Liam (whose original name was Hoover) is a house pig, but he gets to go down to my barn with me (I have 6 horses and a rescued Holstein steer) and root around and explore and he loves it. When I first adopted him, he had a zinc deficiency from eating dog food and his skin on his snout was very flaky. It cleared up right away after being on mini pig food. He has grown into a handsome and big young man (he is about three and a half years old) and I can't imagine life without him . Here is a picture of him meeting my mom at her car because he knows she'll give him a special treat! ​Sir Francis Bacon was found as a stray in Los Angeles and taken to a shelter. 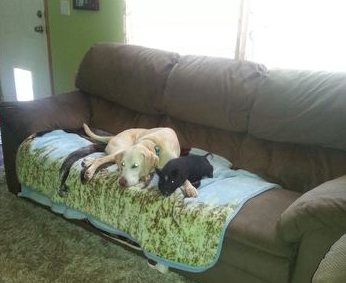 The rescue Labs and Friends.org pulled him and allowed me to adopt him. He was estimated to be about 4 months old at the time and weighted 13 pounds. 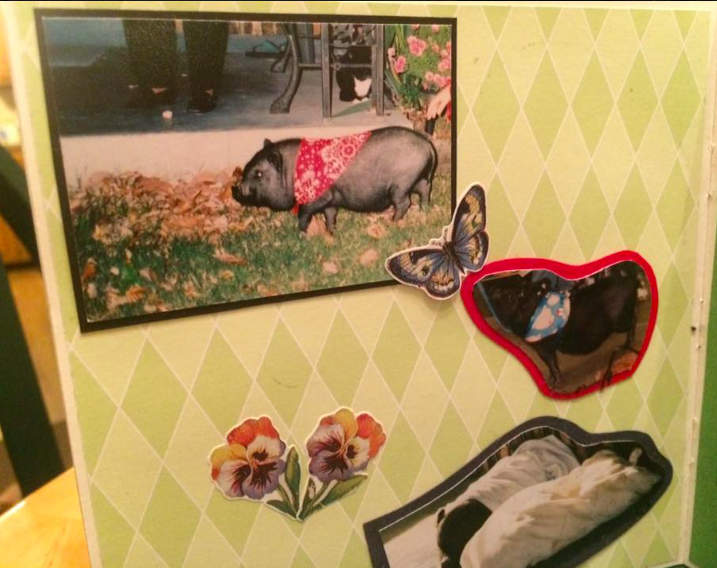 I had been researching pigs as pets, following many pig pages and was still scared to death to actually have a pig. It was tough because he didn't want to be held or cuddled, he made lots of noise, he went potty on my couch multiple times, ate drywall and push my limits multiple times a day. But I'm happy to say that 11 months later we could not be happier. We figured it all out! 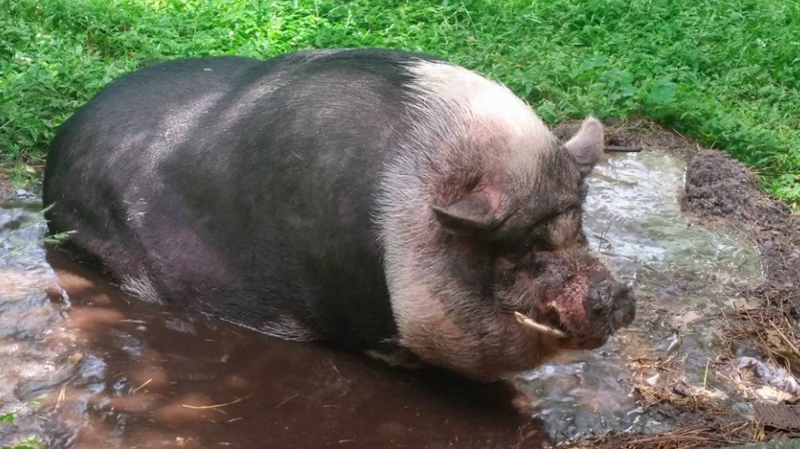 I went into having Bacon knowing that he could potentially be 300 pounds, but so far he is around 100. Next month he goes in for his check up at the vet so I will know exactly how much he weights. 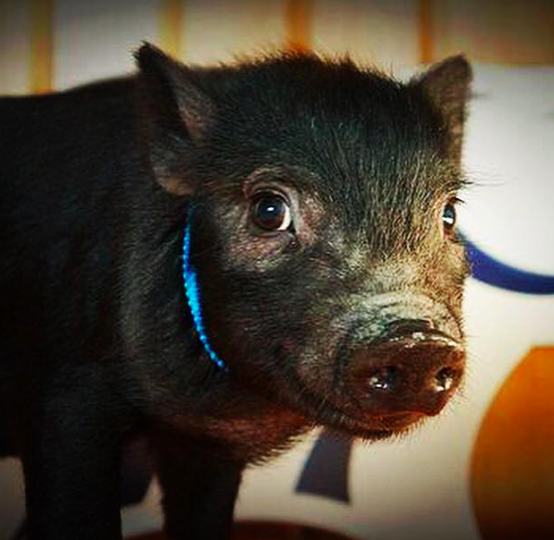 Article written by The Dodo: What happens when your teacup pig when it reaches 160lbs? 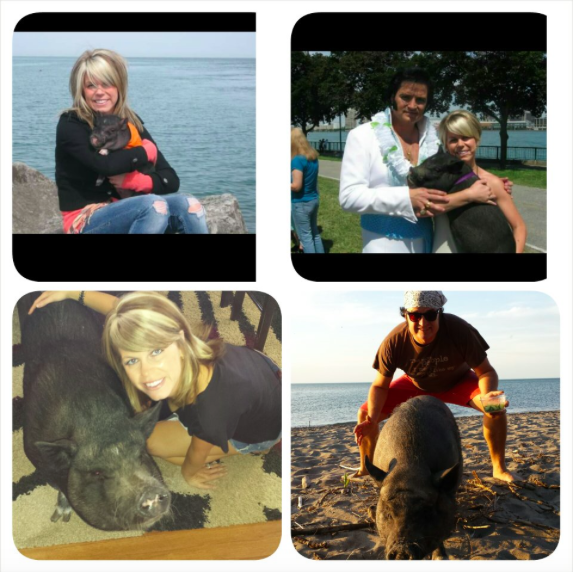 Submit your own pigs picture to us by clicking here. 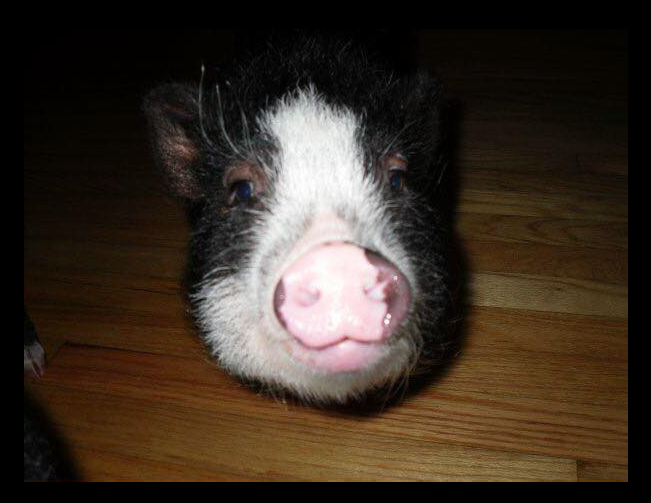 (or using the next page button below) We may even use your pigs picture in one of our articles or pages!